Nestled in the Foothills of the majestic Catalinas, the resort offers a total of 128 guestrooms including 79 of our Mountain Vista Collection in addition to 49 Casitas in our Catalina Village Collection, Bob’s Steak & Chop House, Legend’s Bar & Grill and Tucson National Golf Club complementing the two championship golf courses, world-class spa, tennis, and more. For decades, Omni Tucson National Resort has enjoyed hosting prestigious PGA Tour events where legendary champions such as Nicklaus, Trevino and Palmer have graced the fairways and battled for glory. The addition of the Sonoran Course, impeccably designed by TOUR champion and Ryder Cup captain, Tom Lehman, has created a truly dynamic golf experience. An array of entertainment venues includes outdoor dining terraces and a cabana bar, coupled with Tucson's only 4-star Forbes-rated spa, tennis courts, two highly acclaimed golf courses, Sweetwater Terrace, an infinity edge pool, private function space and outdoor gardens. Omni Tucson National Resort is conveniently located approximately 30 minutes from Tucson International Airport and 90 minutes from Phoenix Sky Harbor Airport. 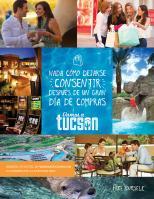 Omni Tucson National Resort was named Best Golf Course in 2011 by Tucson Guide. Omni Tucson National Resort was awarded the Community Service Award for Omni Helping Hands by the Arizona Hotel & Lodging Association at their annual 2010 Stars of the Industry Luncheon. Omni Tucson National Resort a Smart Meetings Platinum Choice Award Winner for 2010. Catalina Course hole number 18 was voted Best Par Four In Tucson by Southern Arizona Tee Times in June 2010. Best of Tucson awarded the Omni Tucson National Resort Best Hotel Ranking #1, Best Golf Course Ranking #2 and Best Steak House Bob's Steak & Chop House Ranking #2, 2010. The Omni Tucson National Resort won a 2010 Experience AZ Reader’s Choice Award for being one of the top hotels in Arizona. The spa at the Omni Tucson National Resort has been named a four-star spa by Forbes. 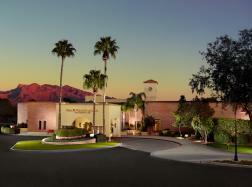 Mobil Travel awarded the Omni Tucson National Golf Resort and Spa with its Four-Star Award for best Resort Spa, 2008.